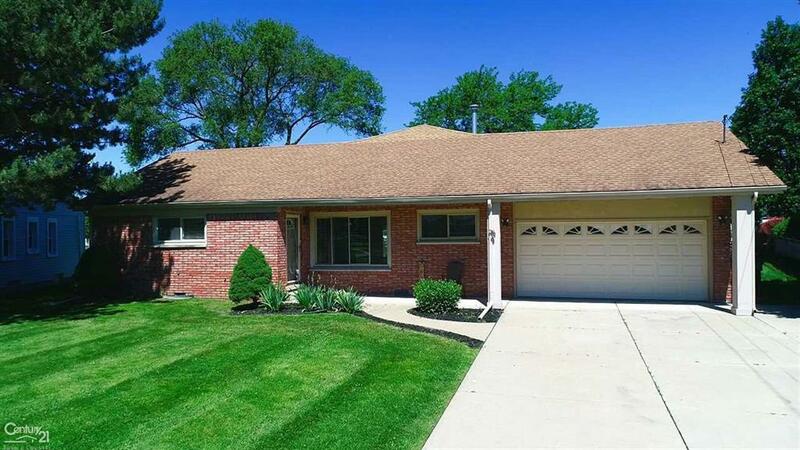 ~~Resort Feeling surrounds this "HARD TO FIND" 2500 SQ FT 4 Bdrm RANCH HOME~PRIME CANAL WATERFRONT Off the BLack Creek of Lake St Clair Metro Park & just off Lake St Clair. Special Lot Includes 151 Ft of Solid Seawall and Water Frontage, Inground Gunite Pool, Hot Tub. and Great Yard. Boasting Extensive Addition Including 28 x 24 Great Rm And Master Expansive 23 X 14 Master Suite W/Full Bath/Walk In Closet, Both, you won't find on the Water at this Price. Modern Exterior Fa~ade Completed w/Additions. Newer Roof, Windows, Fresh Paint, New Moldings, 6 panel doors, Updated Baths, Bath off Pool has Sauna. Master Suite will Steal your Heart, Doorwall to Water, Grand Scale W/Full Bath with Whirlpool. This is the Life Style change you have been looking for. Prime Boat Town Location.